Sony MDR-1A review | What Hi-Fi? Sony’s been one of the main driving forces behind hi-res audio, so you won’t be surprised to find the MDR-1As sporting the hi-res logo. They trump many rivals on paper by claiming to cover a wider frequency range (3Hz to 100kHz). But don’t get bogged down by the numbers game - trust your ears. The MDR-1As are stylish and unassuming, similar in looks to their predecessors, the MDR-1Rs. This new version gets an extended frequency range, the hi-res logo, a new 40mm, aluminium-covered driver and redesigned earpads. 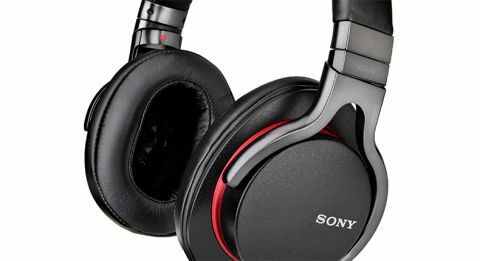 These Sony headphones are lighter than they might look and comfortable too. The elongated pads sit over the bulk of your ear and feel soft – almost slipper-like. For long periods of listening these Sony cans make a lot of sense. The in-line remote and mic is only one-button but favours Apple devices. You can download Sony’s Smart Key app from the Google Play store, it should offer personalisation of the in-line remote for Android devices. There’s also an additional headphone cable without control and mic. We’d use this when listening at home through a proper hi-fi system - music sounds a little more assured and solid. Dynamically, the Sony MDR-1As really stand up to scrutiny. They sound exciting and engaging, more so than the likes of the Urbanite XLs. These headphones can shift from the speedy, attacking beat of Jessie J’s Bang Bang, to the slower, more measured and moody rhymes of The Weeknd’s Wicked Games without any hesitation. Add clarity and an uncluttered top end, and and it’s easy to get enthusiastic about their musical talents. That openness allows you to extract a lot of fine detail from the music, but it also draws your attention to a slight shortcoming with the midrange - vocals lack natural warmth and sound less substantial than when heard through the likes of the Philips M1MKIIs. Another little niggle is that the headphones sound fat in the bass. Play Lorde’s Royals and those booming bass notes need to sound tighter and better defined. We’re only talking a couple of small issues here, but the reality is they’re enough to hold the Sony’s back from achieving full five-star status.